It greatly saddens me that a significant majority of this Nation are completely, and in some cases willfully ignorant of our heritage. Which in turn, breeds ignorance and misconception of many, if not all, of our basic constitutional principles; especially the "tax" system as witnessed by the Render Unto Caesar (RUC) justification. Before you read this any further, I implore you to go to a dictionary and look up the word sovereign and then look in the mirror. Do you see the face of a sovereign looking back at you? Do you get that proud feeling of sovereignty when you look at your paycheck? I didn't think so, I know I certainly don't. Now that you have hopefully looked up the word sovereign, let's place it into meaningful perspective as it applies to the RUC complex. WE ARE THE SOVEREIGNS. Repeat as many times as necessary until you realize this and come then to the inevitable logical conclusion that, and this is where the RUC complex crashes to the ground, WE are the true Caesar's! Not the defacto elected "leaders" who have donned the mantle of Caesar and pretend and have duped most into believing otherwise. These leaders are OUR servant's and representatives, nay, they really cannot even be considered leaders, in the strictest sense of the word. And that, my dear friends, is, in a nut shell, the very reason this once great country is decaying into a third world nation, a nation of men instead of law. 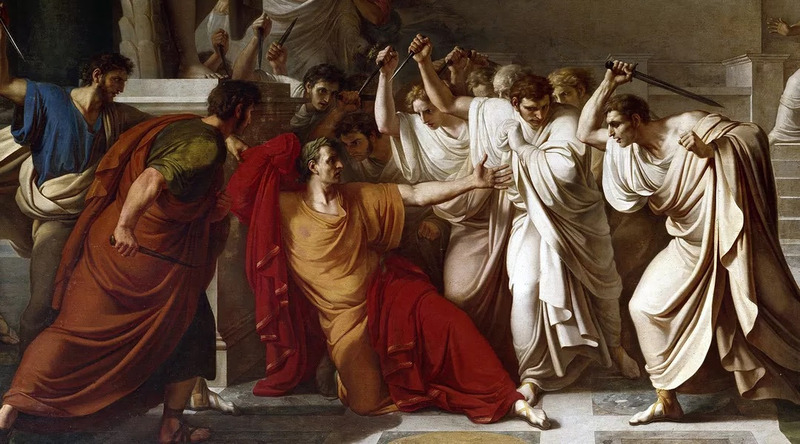 If we were to back up and disregard the point I just made and pretend for the moment that we live under the authority of a "Caesar," (even the thought of pretending we have a Caesar for this example wretches my stomach) I must then ask a few questions of you about Caesar's power. First, does Caesar have unlimited powers? If no, then what are Caesar's limits? Does Caesar have the rightful power to put you and me, as well as our children, into debt? Are you beginning to see the real picture here? "Caesar's" rightful powers even in the context of this hypothetical thought example are, in fact, quite limited. Until you understand the limits, and more importantly WHY those limits were created, then neither you or the majority of this Nation will ever understand the value or meaning of Liberty. I'm talking the kind of liberty that men pledge their sacred honor, their property, and if need be their lives to defend. Certainly not the rhetorical kind spewed forth from our present "Caesar(s)." WE did not elect Caesar. The Constitution prohibits Caesar (government) from enforcing a direct tax without apportionment. The Constitution prohibits Caesar from waving our rights unless we do so voluntarily. Finally, Caesar is destroying this Country with massive loads of debt not authorized in the Constitution. Caesar ran one country into the ground; one would think WE would learn from history. (Which may be why our current leadership is allowing the masses to remove our historical lessons - so we would be doomed to repeat it - allowing the perceived Caesarship to prevail). Just one last thing, if by some chance your thinking has been perverted to the point that you believe Caesar has unlimited rightful power to tax (destroy) then I must challenge you with this: Are you willing to put YOUR life on the line to defend your beliefs? I'm am prepared to defend my beliefs with my life. And I say this with the clearest of conscience. We the People must remember the past so as not to repeat the history. We all must remember that this Great Nation...Our Nation was started by a tax protest. I am sure that the apologists of the day at that time were all saying the very same things to them damn revolutionaries. Jefferson Commemorative License Plates are now available for that special Jeffersonian on your Christmas list. Anyone donating $500 or more will receive this limited special license plate free. More information is available by visiting the SOJ51.org website. Click on “Resources” and then “Finances & Fundraising link. This is where you will also be able to select your personal number for the plate. Only 2,000 plates are offered. 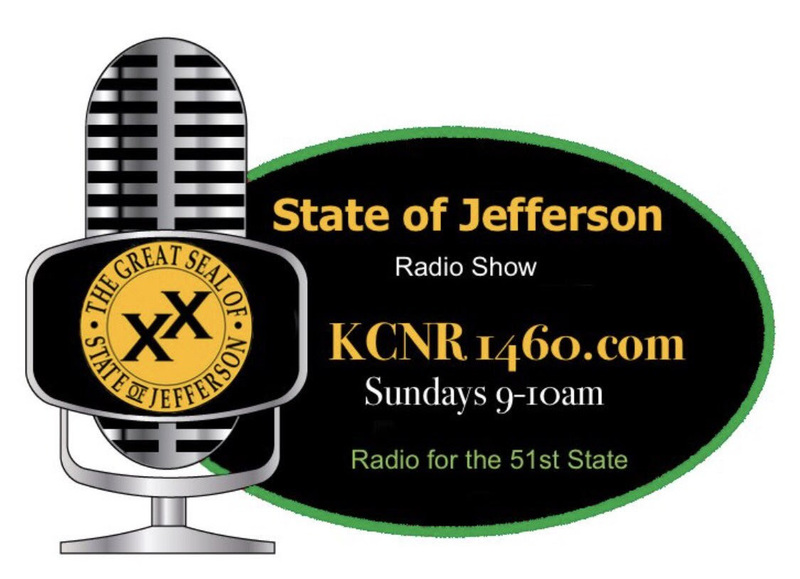 This Sunday, be sure to listen to “Jefferson State of Mine” on KCNR Radio (Shasta County), this Sunday, for the latest news about State of Jefferson, the court case, as well information about the Eugene court case, that will be heard before a three-judge panel. This is another case that is challenging the imbalance of representation. You may listen live on your computer every Sunday morning from 9 am to 10 am. You may also call the radio hosts Terry Rapoza and Win Carpenter to comment or ask questions. Sunday's show and previous shows are all archived so you can listen at your convenience. 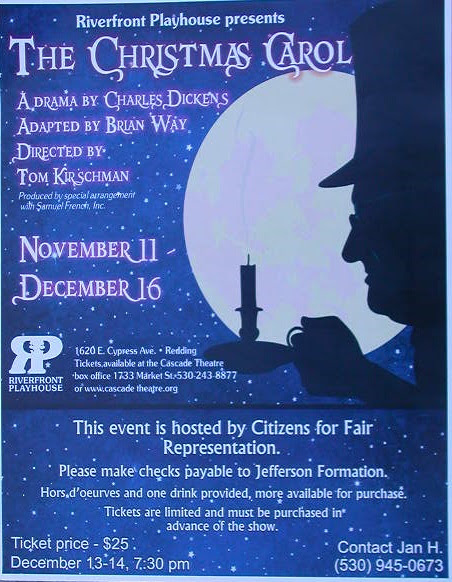 This Sunday, December 10th, is also the date for the next Jefferson conference call at 7 pm. You can listen in to these calls, the second & fourth Sunday of each month, by calling 712-770-4114 and then code number 307268#. This is a listen in call only but both the conference calls and KCNR radio, allows you hear the latest updates about SOJ and the CFR court case. There will not be a conference call on Christmas Eve, Sunday, December 24th. 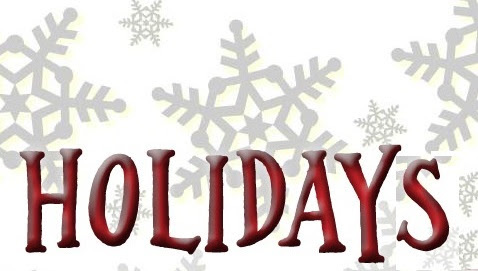 This is the time of year to enjoy time with your loved ones and friends. At the same time, SOJ County Committees are already in the planning stages and looking forward to a very busy, productive 2018. We feel the coming year offers Jeffersonians many opportunities to spread the word of Jefferson while also educating people about issues such as the imbalance of representation, over taxation, and the growing bureaucracy that exists in the State of California. Californians must use their voice and show up at the ballot box for the June primary and general election in November. It is time to Take Back California! We thank all of you for your continuous support for Jefferson and the Citizens for Fair Representation and wish all a Merry Christmas and Healthy, Happy, Successful New Year. 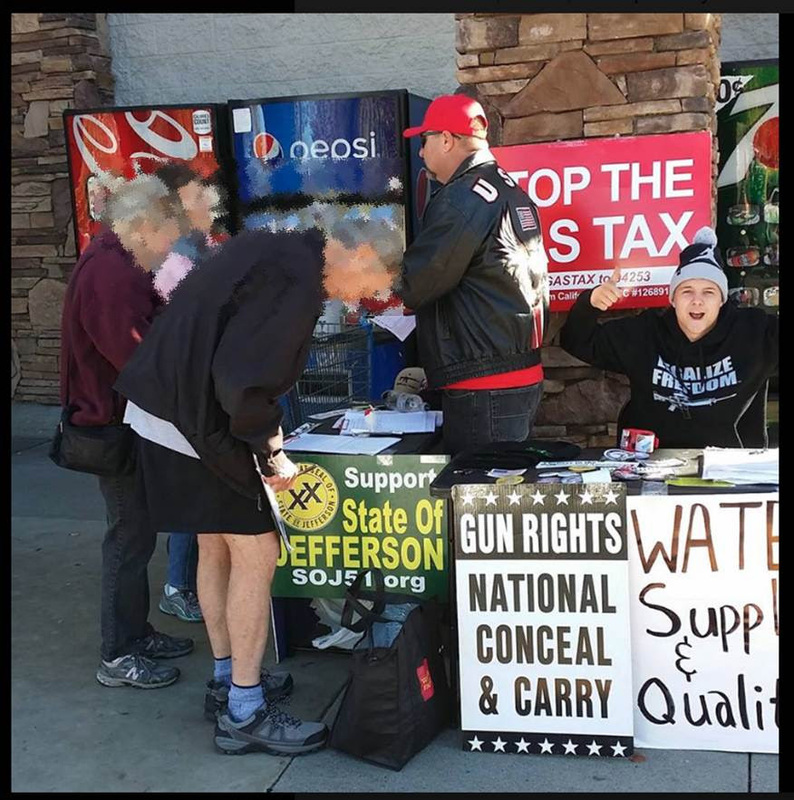 Fox News recently posted an article regarding paid signature gatherers purposefully misleading the public about the petitions they are asking you to sign. This is a good article. Well done, Doug Johnson! The El Dorado County Jefferson Committee decided to have a Christmas Social at a time where your kids and grandkids could join us. School should be out, and Santa Claus will be in town. Santa has been invited and is planning to attend. Please call Mike at 530-626-1969 and tell him the number of adults and the number of guests under age 18. Please be reminded that December is the only month that we ARE NOT meeting on the 2nd Tuesday. When you get your 2018 calendars, please write in the SOJ monthly meetings for January 9th, February 13th, and March 13th etc. Tuolumne County will have Jeremy Talcott from the Pacific Legal Foundation as our keynote speaker the 2nd annual fundraiser in February. He will talk about the Constitution and the issues that we face in our struggles and will answer general questions. Stay tuned. Visit https://www.pacificlegal.org/bio-jeremy-talcott for more information. Join us as we come together to share information that will inspire and encourage you.